Castleford have signed half-back Cory Aston after he was allowed to leave Super League rivals Leeds Rhinos. Aston joined the Rhinos on a two-year deal from Sheffield Eagles in November 2016, but failed to make an appearance in his only season with the club. 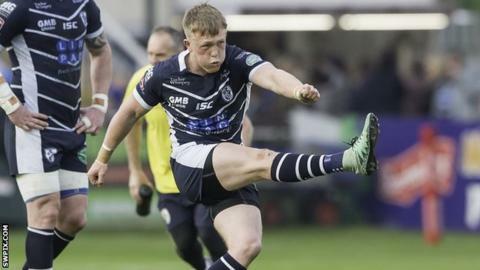 The 22-year-old had loan spells with Championship club Featherstone and League One side Bradford last season. "I'm sure we can make sure that he is a consistent half-back at the highest level," head coach Daryl Powell said.